Ireland could be emerging from the fog. Joe Schmidt's men got back on the winning track by outdoing the Scots at Murrayfield, on Saturday. A 22-13 victory keeps Wales and England within reach and was achieved with a number of frontliners missing or, in the case of Johnny Sexton, helped from the field. An Ireland team without Henderson, Toner, Stander, Henshaw, Ringrose and, for an hour, Sexton got the the job done. It was not always pretty but Ireland were deserving winners and struck another psychological blow before the countries meet again at the World Cup. There will be a separate squad named for round three, and the upcoming away date with Italy. Expect that to arrive on Sunday or Monday and it may be reduced in number from the large squad named by Ireland ahead of the opening rounds. 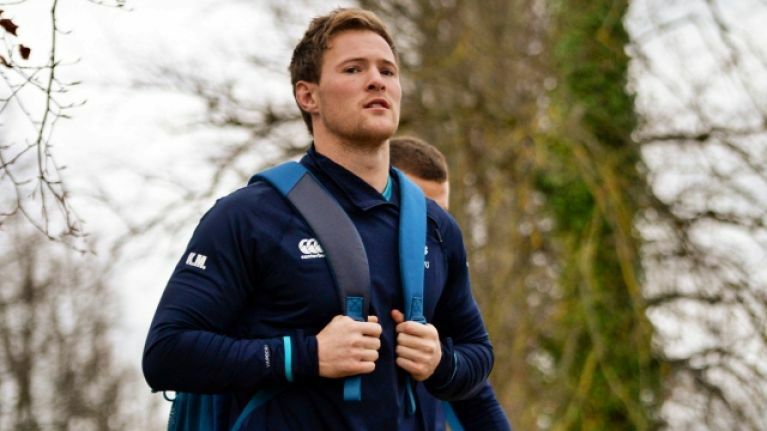 The next Ireland squad may well contain Kieran Marmion after the Connacht scrum-half returned to full training with his province on Monday morning. 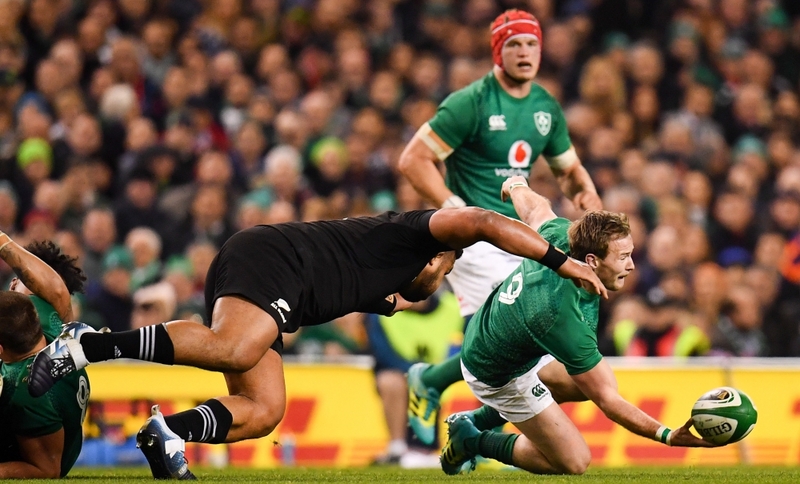 Marmion went in for surgery on his ankle ligaments in early December after playing through the pain barrier in Ireland wins over Argentina and New Zealand. On his way to training at The Sportsground, Marmion told SportsJOE he is hopeful on a full return to play this weekend. "When I got the procedure done, they said it would be 12 weeks [before I could play again] so it is 12 weeks on Wednesday. The plan is to train on it this week and play this weekend and hopefully get through that. So, fingers crossed. "I had a ligament in my ankle that just needed fixing so we said we'd get it done after that New Zealand game. Hopefully we can get it right and get through until the end of the season." The 27-year-old was being "managed" through November as his ankle was causing him issues. Marmion says it was a long-running issue but something that was not helped by an awkward landing in an early October clash with Ulster (below). "I aggravated the ankle in that Ulster game and it wasn't really right since," he says. "I had tweaked it a few times so we thought, 'Let's get it [the surgery] done and hope there are no more issues with it." "Once I strapped the ankle up, it was fine and I didn't have any issues playing on it [in November]. I did roll the ankle in the Argentina game and, when I did that, I pretty much came off straight away. It wasn't too bad. "It was just a case of strap it up and get on with it. But, in the long run, it was best to get it right and not rely on the strapping so much." If Marmion comes through this week with Connacht - training and playing at home against Cheetahs - he should be in line for a rapid return to the Ireland squad. John Cooney has been deputising for Conor Murray in the Ireland team but don't be surprised to see the Connacht No.9 shuttled straight back into the matchday squads too.